Are you looking for a permanent, safe solution to remove unwanted body and facial hair? There are now an array of home and salon treatments on the market, yet it can be time-consuming trying to understand the countless number of options and confusing to know which solution is the most effective. to understand is the difference between Laser and Intense Pulsed Light (IPL) technology, including the processes involved and the results you can expect from each. HOW DOES LASER AND IPL TECHNOLOGY WORK? 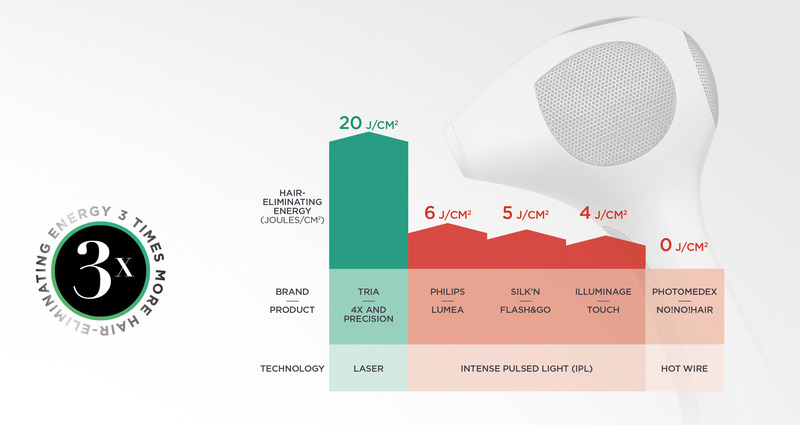 IPL devices provide a broad spectrum of colours and wavelengths (like a light bulb) and it is not possible to focus the light energy to a concentrated beam. 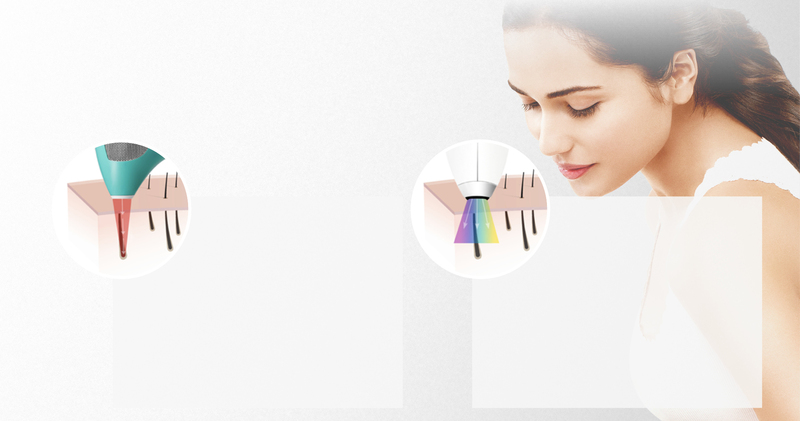 Because IPL produces a range of different wavelengths and colours that are dispersed at various levels of depths, the diffused energy does not only target the melanin in your hair follicle, but also the surrounding skin. hair removal. *The laser beam allows for very deep, more powerful and precise penetration as the energy is targeted directly to the hair follicle, achieving accurate, permanent results. Once the hair follicle has been disabled, it loses its ability to regrow hair. IPL can reduce and slow down hair regrowth but not permanently remove hair. Only a small percentage of the IPL energy is effectively absorbed by the hair follicle to achieve hair reduction. Therefore more and regular treatments are being needed, as thicker and deeper hair follicles might not be reached and disabled effectively. It varies per user. 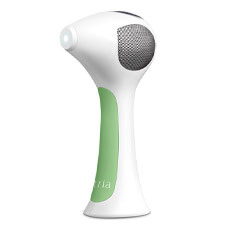 Users can control the intensity of the Diode Laser with Tria Beauty's Hair Removal Laser 4X. On the higher settings, some users might feel the sensation of a rubber band snapping against the skin or a warm pricking feeling, while others report no discomfort. Once again, it varies per user. Because IPL uses various wavelengths in each pulse and also diffuses on the skin surrounding the hair follicle, some users may feel an increased level of discomfort. IS LASER OR IPL TREATMENT COST-EFFECTIVE? with the occasional top-up if required. Overall, Diode Laser technology is recommended for hair removal with permanent results, while IPL is recommended for hair reduction. This is because lasers create more heat and light energy directly concentrated to the hair follicle and only target melanin (the pigment that gives hair its colour), while the light energy of IPL diffuses on the skin surrounding the hair follicle. Our advanced hair removal laser technology safely delivers over 3 times more hair-eliminating energy than any other at-home hair removal device. 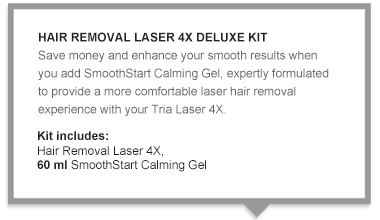 We're confident that you're going to LOVE your new smooth skin, we offer an exclusive 60 day money-back guarantee only at Triabeauty.co.uk. If you're not happy with your permanent results, send it back for a full refund.